Tonyo wears many hats: Blogger, advocate, strategist and newspaper columnist, among others. In 2016, the French foreign ministry selected him for the Programme d’Invitation des Personnalités d’Avenir (International Visitor Leadership Program), citing his work on digital, social media and advocacy. 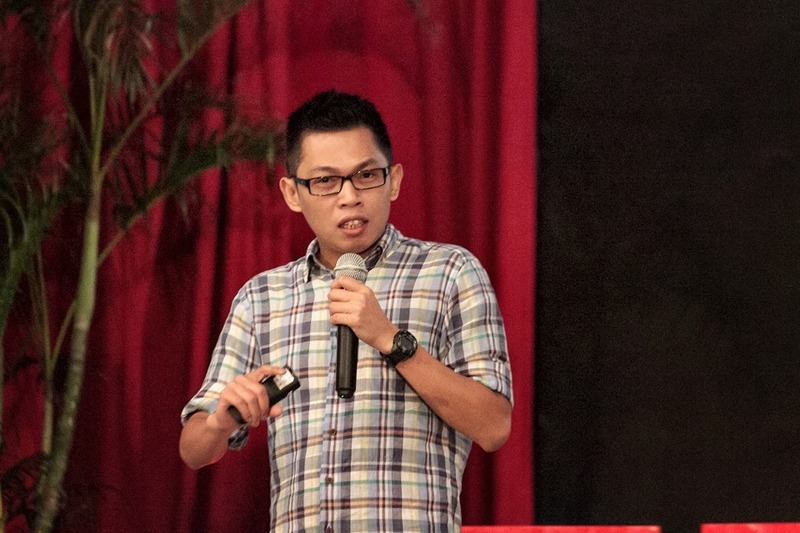 In 2012-2013, Tonyo was Chief Social Media Strategist for Movent Inc., the country’s biggest digital agency. In 2011-2012, he served as Digital Consultant and later Digital OIC for TBWA\Santiago Mangada Puno, one of the most awarded creative agencies in the Philippines. In 2012, the Philippine tech website The New Media (TNM) feted him and his colleagues with a “Digital Hero” Award for outstanding use of social for calamity response (#RescuePH, #ReliefPH). In 2009, he co-founded TweetUp Manila, the lead organizer of Social Media Day in the Philippines since 2012. In 2008, his blog tonyocruz.com received honors in the Philippine Blog Awards. In 2001, he co-founded TXTPower, an advocacy group that promotes the rights of Filipino mobile and internet users as consumers. He has spoken or participated in summits and conferences across the Philippines, and in Asia, North America, Latin America and Europe. He has appeared as resource person in hearings of the Philippines’ Senate and the House of Representatives. He graduated from the prestigious Manila Science High School, and later studied sociology at the University of the Philippines at Los Banos. He joined the UPLB Perspective, the official UPLB student publication, and the College Editors Guild of the Philippines, where he served in various capacities. Upon leaving the student movement, he served as public information officer for the multisectoral alliance Bayan, human rights alliance Karapatan and the offices of Representatives Saturnino C. Ocampo and Teodoro A. Casino. In January 2014, he started writing an Op-Ed column in the Manila Bulletin, one of the country’s leading newspapers. His “Hotspot” column now comes out twice weekly, on Tuesdays and Saturdays. Entrepreneurship in the Philippines does not happen in a void – you build your startup in the greater political and social landscape of the country, which, no matter how hard you try to shy away from the headlines, is still terribly omnipresent. The country still has a ton of problems, and Tonyo Cruz helps you make sense of them via his Twitter. His tone is mostly witty, sometimes sarcastic, and on occasion shrill, but he is always worth listening to, particularly when it comes to his many digital advocacies (#ReliefPH, #RescuePH, #abolishpork, #betterinternet #notocybercrimelaw). He mostly comments on political news, which though don’t apply directly to business, can begin to help you connect the dots in understanding why things are the way they are in the Philippines, entrepreneurship included. Just be careful not to get on Cruz’s bad side – his pen is definitely mightier than your sword. TL;DR: Until Jon Stewart moves to the Philippines to start a local version of The Daily Show, Cruz’s Twitter is the closest thing we have. Check his LinkedIn profile for more testimonials. my name is france and i am a student working on a paper about the application of tax in text messages. i would like to ask if you are available for an interview. i am really interested in your and your organization’s (txtpower) view. please contact me at my e-mail address: maria_francesca_lee.